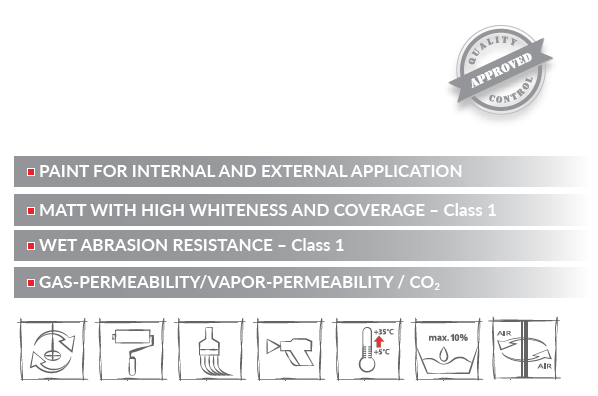 Water-dispersible synthetic resins, optical brighteners, acrylic dispersion, modified mineral fillers and additives. 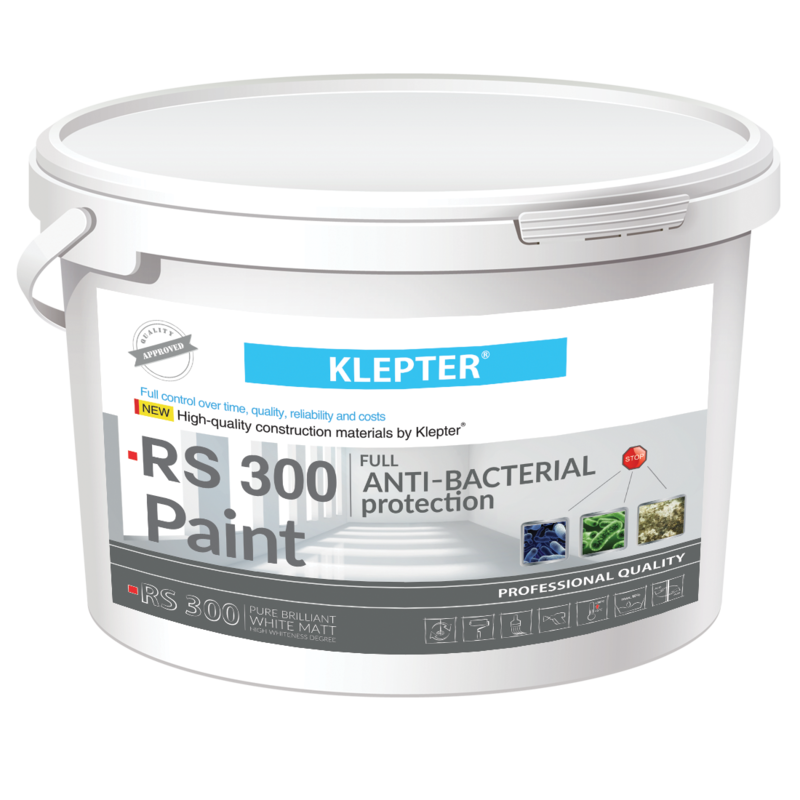 Antibacterial paint with broad spectrum for internal and external use – on walls and ceilings in rooms or areas with high humidity. It is applied on all types of plasters and putties, concrete, plasterboard, fiberboard and old water dispersion paints (tinted with tinting pastes). The surfaces should be cleaned of dust and grease and then treated with a KLEPTER primer consistent with the substrate. In closed containers. The product is water-based. Protect from freezing! Storage from +5°C to +35°C.